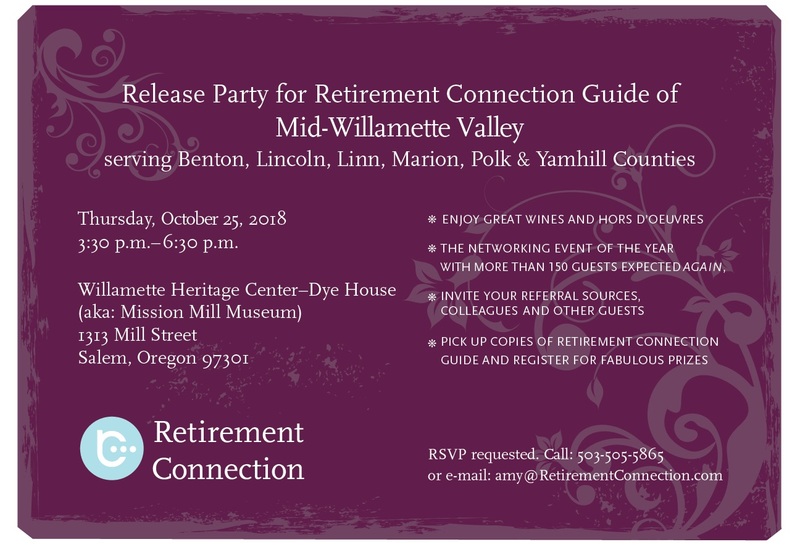 Please join us in celebrating the release of the newest issue of the Mid- Willamette Retirement Connection Guide with great wines, networking, and hors d’oeuvres. With over 150 guests expected this is the biggest networking event of the year that you won’t want to miss! This is an open event and all are welcome to attend so please feel free to invite referral sources and other guests.